What actually is the Canine Bowen Technique? How might Canine Bowen Technique help my dog? What do I need to bring for the Canine Bowen Technique treatment? Can Canine Bowen Technique be mixed with other therapies and/or conventional medicine? 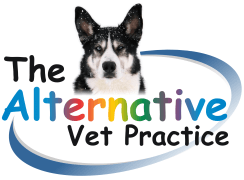 Please note, that Canine Bowen Technique is not a substitute for veterinary care, and should be used in conjunction with conventional veterinary treatment, and is therefore only available on referral by your vet. Please contact me for the appropriate referral form. The Bowen Technique is a gentle, non-invasive, light-touch, remedial therapy developed in the 1950s in Australia by Tom Bowen as a complementary human therapy and brought to this country in 1992. It was adapted for use on dogs in this country in 2001 by Bowen therapists Sally and Ron Askew, who integrated it into their own dog behavioural and rehabilitation work. In 2003 they founded the European Guild of Canine Bowen Therapists (EGCBT) to bring this exciting modality to both the UK and mainland Europe. It is a holistic therapy that promotes healing, pain relief, and general body rebalancing. It aims to support and boost the natural healing capabilities of the body. During the subtle and relaxing treatment, the practitioner uses thumbs and fingers on precise points of the body to perform rolling-type moves over muscles, tendons and soft tissue to send a stimulus to the brain. An important feature of the Canine Bowen Technique are breaks between sets of moves which are determined either by the therapist or by the dog. Dogs are usually very good, much better than us humans, in recognising how much treatment they want and need, when they need a break and if they want more. These breaks allow the body to absorb the information given by the moves and to gently respond to the treatment at its own pace and to start re-aligning and repairing itself. As this process develops its strongest effect over a period of a few days, it is common for dogs to leave the treatment in the same condition as before with improvement only starting to take place over the next few days. As with all holistic therapies, the Bowen Technique is treating the whole body and mind and not any specific condition. It can be used therapeutically as well as preventatively, to the benefit of working dogs or dogs used in competitions. As with all therapies, some dogs will respond better to it than others. No. The Canine Bowen Technique is a very gentle therapy, both on the dog and on the therapist. There are no contraindications and it can be used even in very acute situations, in all dog breeds, in all ages and conditions. An appointment will take approximately 60 minutes with the majority of time spend on finding out about any existing medical conditions, aches and pains, to get to know and assess the dog and to allow the dog to become familiar and relaxed with the therapist. The actual hands-on part of the appointment is usually no longer than 20 minutes and can be as short as a few seconds. 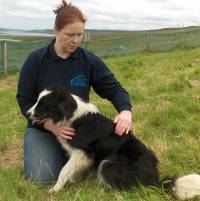 In very nervous dogs, the first session might entirely be spent on building up trust with no hands-on treatment at all. The treatment consists of a series of precise, rolling-type moves over muscles and tendons made by thumbs and fingers. The moves will not cause any pain, although some moves can be a bit more tender than others. Therapy is never forced on the dogs. Canine Bowen Technique Therapists are trained to recognise and respect when the dog indicates it has received what it needs - and if it wishes to walk away, then it is allowed to do so. This means that a whole treatment can consist of one or two moves only. During the treatment, it's the dog's choice to either be standing, sitting or lying. Please bring the completed vet referral form, including a copy of your dog's medical history if possible, and a list of any medication or supplements your dog is currently taking. Please do not book an appointment for your dog for ANY other physical therapy such as reflexology, physiotherapy, osteopathy, chiropractic, massage, acupuncture etc, within seven days before your first or within seven days after your last Bowen treatment. This is to ensure that the body is not overloaded with information or given differing therapeutic information to deal with at the same time. However, the Canine Bowen Technique does combine very well with non-manual therapies such as conventional medicine, homoeopathy, herbal medicine, aromatherapy etc. Stroking/Petting: Even if it's tempting, please restrain your natural instincts and do not stroke your dog immediately following a Canine Bowen Technique treatment until after your dog has had a rest/sleep. Sensations from such stroking, although seemingly enjoyed by dog and owner, might confuse the body as far as reactions to the Canine Bowen Technique treatment are concerned. Food: Please avoid feeding your dog for approximately one hour before or after the Canine Bowen Technique session. Water: Your dog may drink more than usual in the day or two following Canine Bowen Technique treatment. Therefore, please ensure that plenty of fresh water is available to your dog at all times. Also take into consideration that this also means that your dog might need to toilet more often than usual. One of the essentials for good health, water is also essential following a Bowen treatment. As a result of Bowen the body will increase blood supply to nerve endings and will increase lymph movement throughout the body. The effective functioning of these systems is entirely reliant on water. Movement/Exercise: As with water, movement will assist the movement of fluid and more particularly lymph around the body. Lymph removes all kinds of debris from the body. However, your dog's body needs time to repair itself and re-injury should be avoided. Therefore, a moderate amount of exercise only is advised. You mustn't over-exercise or over-excite your dog on the day or two following a treatment, even if your dog seems to be more energetic than before. Respones: Responses to Canine Bowen treatment, which your dog may experience, are usually very subtle, but can include stiffness, soreness, tiredness, signs of pain, nausea, behavioural changes. These are all positive signs that the healing process is working. These responses usually clear after a few days. Medication: Do continue with any medication or diet prescribed for your dog by your vet. Canine Bowen Technique is complementary to conventional veterinary care of your animal, so continue to follow any advice given to you by your vet. Other therapies: During the course of treatment with the Canine Bowen Technique, your dog should not receive any other physical therapy such as reflexology, physiotherapy, osteopathy, chiropractic, massage, acupuncture, etc., within seven days before the first or seven days after the last Canine Bowen Technique treatment. This is to ensure that the body is not overloaded with information or given differing therapeutic information to deal with at the same time. Treatment intervalls: The recommended time period between treatments is five to ten days, with seven days being the optimum to allow your dog's body to re-align and repair itself in reaction to the treatment. Often, one or two treatments at weekly intervals may be sufficient to achieve noticeable change, although in some cases further treatments may be required. Some people like to use the Canine Bowen Technique as a means of stress management and health maintenance and benefit from regular 'top-up' treatments for their dog.